You would like to drive in Malaysia. Some tips for driving in Malaysia. Basically, driving in Malaysia follows much the same rules as in Britain and Australia. Cars are right-hand drive and you drive on the left side of the road. 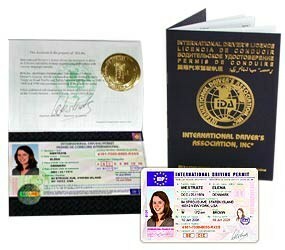 A valid overseas license with a photo is needed to rent a car or you can obtain an International Driving Permits through Motoring Associations in your home country. Age limit applies and all car rental companies require that drivers must be above 23 years old. Don't stop if a passing motorist tells you that something is wrong with your vehicle or if someone bumps you from behind. Pull into the nearest service station or well-lit public area. Call the police. At stoplights, leave plenty of room between your vehicle and the one in front of you in case you must pull away quickly. Always keep doors locked and windows rolled up when driving or when parked. Keep valuables in the trunk or in the locked glove compartment. Learn emergency vehicles' signals. Police lights are red and blue. Do not stop for flashing white headlights alone. Do not resist in the rare event that a stranger demands your valuables. Your well-being is more important than your belongings. Always use seat belts. It is the law and may save your life in the event of an accident. Don't pick up hitchhikers under any circumstances. Always be aware of the pedestrian traffic around your vehicle. Always park in a well-lit area. Have car keys in hand and check in and around the car before entering. Don't take shortcuts to save time or exit expressways prematurely to save tolls. Tolls are a nominal charge, change is available at many booths, and your safety is most important. Use automated teller machines only in busy, unobstructed areas and count your money inside the car with the doors locked. If your car malfunctions on a major thoroughfare, lock the doors, turn on the hazard lights and wait for the police to arrive. If someone offers help, have them call the police. Don't pull over to assist what may appear to be a disabled car, even if someone tries to wave you down. If you have a cellular phone, call the police for them. Drive to a service station or store if you need information or directions. Casual street-corner directions are the surest way to get lost. These safety tips are general common-sense suggestions from Avis. The safety of you and your passengers is most important. However, remember that personal safety is your responsibility. Do what you think is best under the circumstances. Above all, stay alert and be cautious.